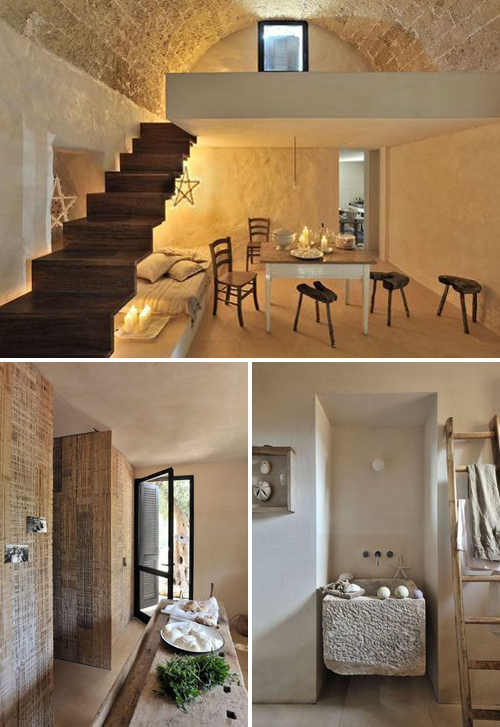 This gorgeous house built from stones is located in the South of Italy. It is designed by architect Marco Costanzi. 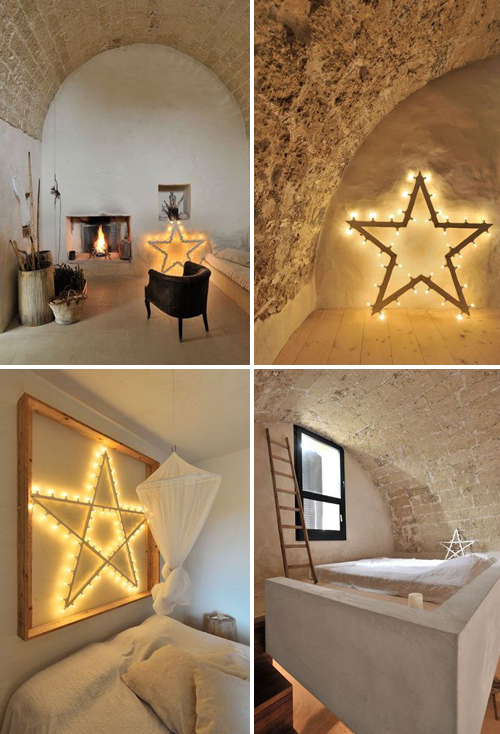 Various star shaped light installations created by Fratelli Parisi can be found throughout the house and outdoor area. 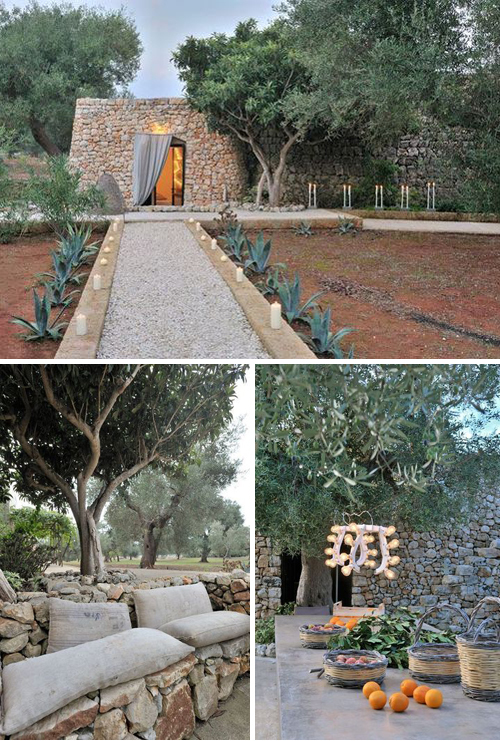 The outdoor area which is surrounded by olive trees and stone wall blends perfectly into the landscape. The living room doubles as a sleeping area (on the mezzanine). 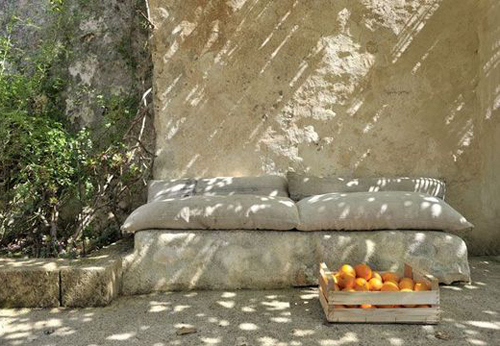 Spartan furniture reflects the spirit of place. The rustic yet stunning bathroom sink is carved from a block of stone. Ok, this is really stunning! The perfect mix of country architecture and stylish modern interiors. Exactly the place I’d like to live in one day! my god i want this home!